Governor Perry’s August 6th prayer rally garnered lots of media attention this past weekend. With 30,000 people in attendance, the sheer size of “The Response” was newsworthy—it was reportedly larger than any rally so far this election cycle by any other Republican presidential hopeful. 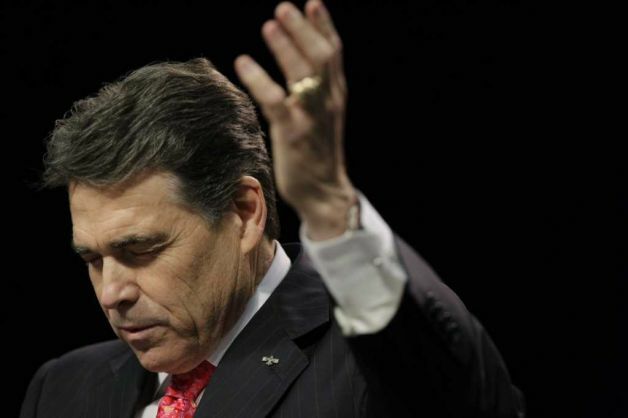 Relatedly, many pundits saw the event as Governor Perry’s proverbial gauntlet throw-down, a flexing of admittedly large social conservative political muscles that have the potential to make him a top contender should he enter the presidential race. There has also been questioning as to whether Governor Perry’s key role in the event was a violation of the Establishment Clause. According to the Southern District of Texas, the short answer to this question is, it doesn’t matter. In Freedom From Religion Foundation, INC. v. Perry, Judge Gray Miller found that even if Governor Perry’s actions had been unconstitutional, plaintiff FFRF–quite possibly along with all other potential plaintiffs–had no standing to sue. The analysis that leads to this answer follows a long and tangled path, beginning with the text of the Constitution itself, proceeding on to subsequent constitutional amendments, traversing some two hundred years of interpretive jurisprudence, and ending with Judge Miller’s decision in FFRF v. Perry. The First Amendment reads, in relevant part, “Congress shall make no law respecting an establishment of religion or prohibiting the free exercise thereof.” In 1947, the Supreme Court held this portion of the Bill of Rights to be enforceable against state as well as federal governments through 14th-Amendment incorporation. Governor Perry’s actions in his capacity of state governor, therefore, must conform to the mandates of the First Amendment. In arriving at this conclusion, the court emphasized that attendance at the rally was voluntary and that Governor Perry merely invited prayers from those not in attendance: “Governor Perry’s statements are requests, not commands, and no injury flows from a mere request.” The court explicitly held, again referring to the Seventh Circuit opinion, that nonparticipants’ resulting feelings of exclusion are not sufficient to constitute an injury because they only reflect value judgments of the excluded bystanders. Finally, the court acknowledged that its ruling might well have the effect of making it so that nobody would have standing in a case such as the one before it. Judge Miller gave this concern short shrift by simply referring back to the above-mentioned requirements for standing. “[A]bstract injury. . . is not injury in fact,” he stated. What about the merits of the case? In other words, if FFRF did have standing, how would the court have ruled? Judge Miller gave a strong hint when he stated: “plaintiffs…seek two types of specific injunctive relief that have never been granted by a federal court: (1) an injunction barring a state governor from issuing a proclamation inviting people to pray; and (2) an injunction limiting the manner in which a state governor may participate in a religious function” (emphasis added). If the injunction in question is the type never to have been granted in federal court, it is likely that most courts would decline to extend the Establishment Clause so far as to prohibit activity of the kind in which Governor Perry engaged. It is also likely the Supreme Court would so forbear.